Mixed: An anthology of Short Fiction on the Multiracial Experience, is not the usual compilation of short stories. With an introduction by Rebecca Walker, contributors include Danzy Senna, Cristina Garcia, Peter Ho Davies, Diana Abu Jaber, and many other new and established authors. Each story is preceeded by a biographical statement about its author and is followed by a personal commentary that sheds light on the story's origin and mood. 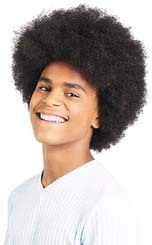 Every tale is not only written by an author with a mixed racial background, but also features mixed-race individuals living very different lives. That in a nutshell is the beauty of this selection, though each story is very different there are threads of similarity that will make you feel at home. It's not a physical place, it's more a state of mind, a sense of kinship that leaves you with a warm sensation of knowing just where the writer is taking you because you've been there too. Mixed is a wonderful example of the thoughts, labels and realities that come together to make the mixed-race experience. Recreated as glimpses into the lives of others and told through the words of those who've come to recognise the very essence of their duality Mixed will leave you wanting more, much more. 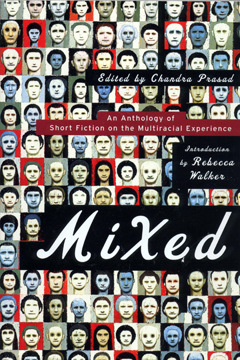 Mixed: An anthology of Short Fiction on the Multiracial Experience, is out now in the U.S. Readers in the UK can click here to buy it online.